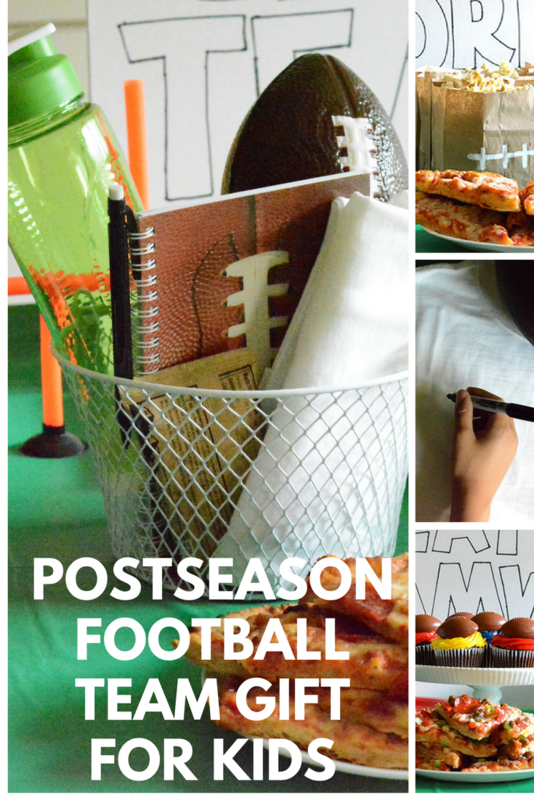 Britney Dearest: End Football Season With a Special Gift For the Whole Team! 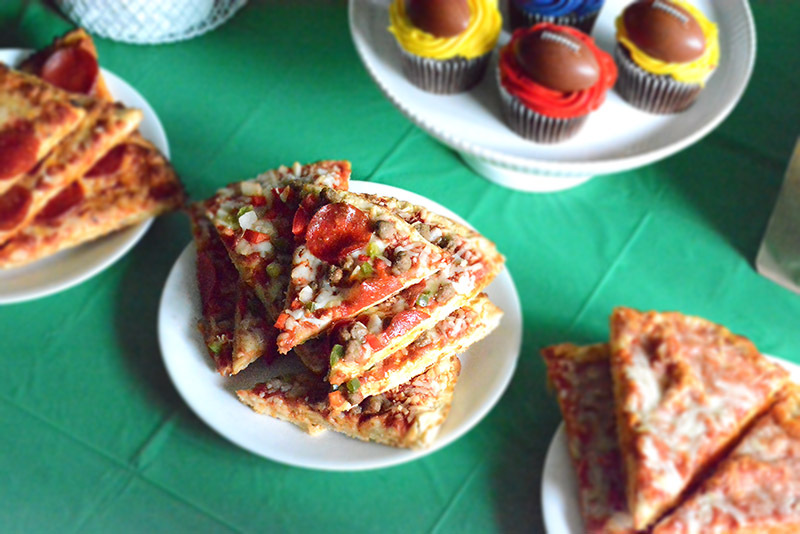 Your Child's Team Can Win $10K With Tony's Pizza! Oh! And Kansas City, MO and KS residents can win a $10,000 donation to your child's team! Tony's Pizza is hosting a Facebook sweepstakes campaign in the Kansas City, MO and Kansas City, KS metro areas centered around community and pizza. Get all the details at the end of this post! To keep the party simple and affordable I created my own crafts, using brown paper bags with the tops cut off to store peanuts and popcorn. I used white-out correction fluid to draw the laces. I used the excess paper from the bags to make footballs put onto a string. 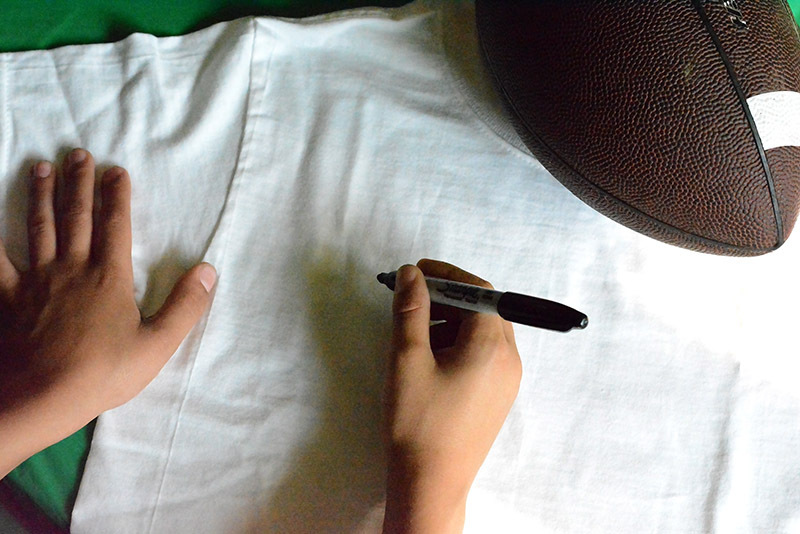 I decorated a poster board for the table backdrop and used a green tablecloth to simulate football field turf. 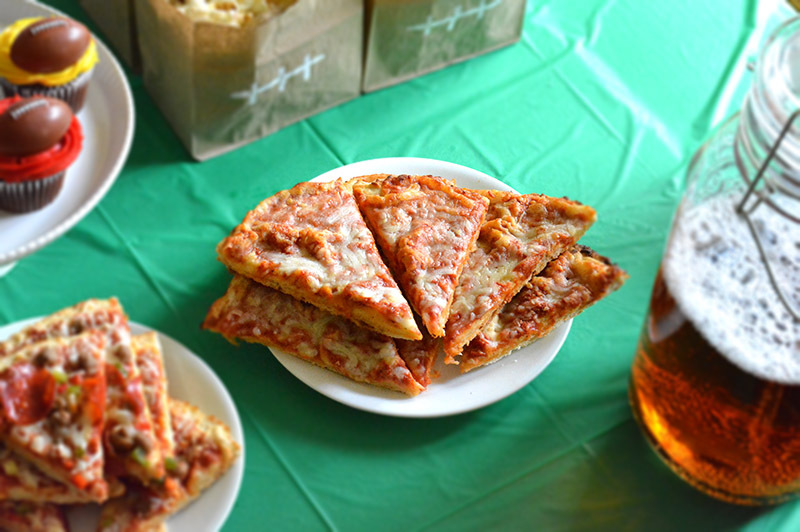 I kept the food options simple because kids aren't usually very choosy, especially when there's pizza and popcorn! Instead of order and carry out, Tony's Pizza is a great, affordable choice! Not only is the pizza delicious, but it's a local company that started in my home state's, Missouri, sibling-state, Kansas. Tony's began as a pizzeria in 1960, located in Salina, KS, proudly serving community members layers of light, crispy crust topped with a sauce made from real, fresh tomatoes covered in 100% real mozzarella cheese and your favorite savory toppings. Tony's has a wide variety of toppings to choose from. Our flavors of choice are Tony's® Pizzeria Style Pepperoni Pizza, Tony's® Pizzeria Style Cheese Pizza, and Tony's® Pizzeria Style Supreme Pizza. 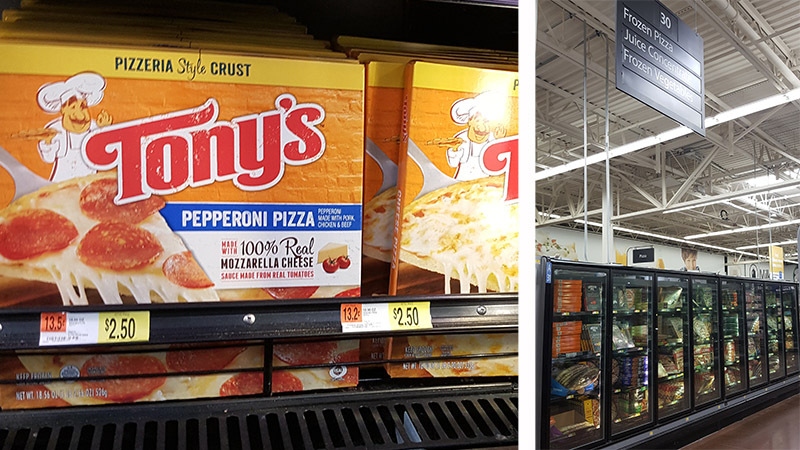 Tony's can be located in the pizza section of the freezer aisle at your local Walmart store. For snacks, we went with popcorn and peanuts, usual game snacks, and cupcakes because, well, our parties aren't parties without some type of cake! To accommodate varying budgets of the parents on the team who would like to pitch in and help, it's good to keep the costs low, especially considering the fact that you're making a basket for each team member. I'm glad to be partnering with Tony's because my kids love participating in annual sports activities and Tony's Pizza cares about fueling youth sports with an authentic slice of pride. Do you have children under the age 18 that enjoy playing sports? If so, what sport do they play? ▸The sweepstakes ends on September 30, 2017, so enter fast! ▸Submit a brief description of child’s team detailing pride in the team showing how they play the game with sportsmanship and camaraderie. ▸Submissions that are inspiring but do not receive a financial reward will get tickets to Tony’s Event Center. I love your styling of this party! 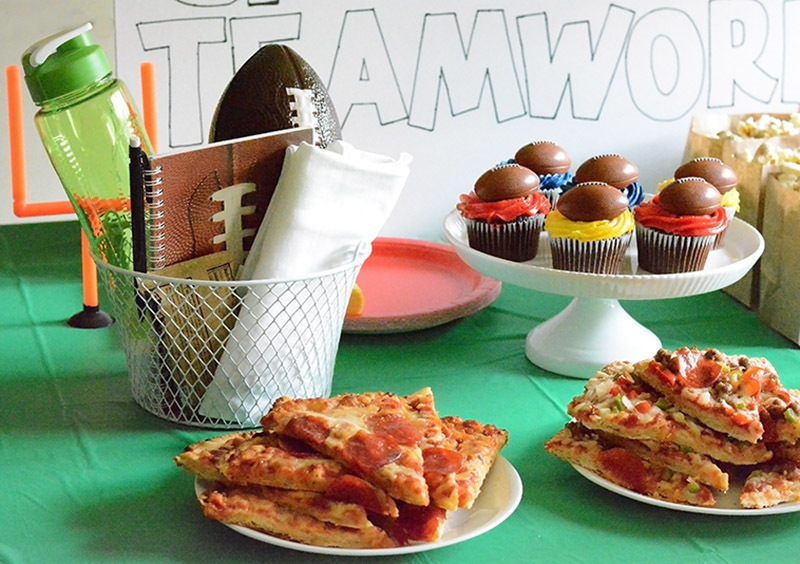 It's a really practical and totally doable way to make sports party kind of chic and fresh. I may do something like this for the beginning of the season and have our closest friends with kids over. Thanks for sharing all of your creativity! Practical is my kind of style lol. Thanks for reading! I always appreciate a good theme. You did a good job with this football theme. Very simple and affordable. I have went overboard more than I care to mention so I can totally relate! Thanks! I love a themed party and your decor was amazing. I know your guest enjoyed it. 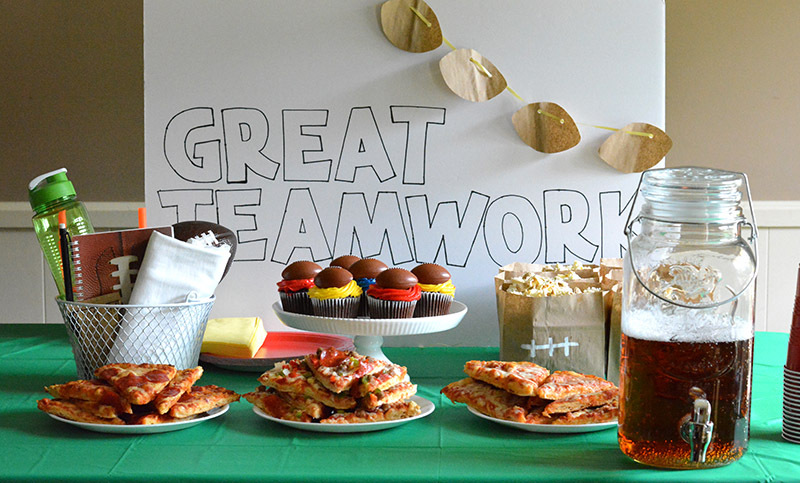 I wish we had cute parties when I was playing soccer. We were lucky to get some pizza, pretzels, and oranges! lol I am envious of their gift bags. LOL! I don't recall ever receiving gift bags when I played sports either. I've heard that millennial parents are a tad bit extra lol. Thanks for stopping by CJ! I love this idea, particularly because I could actually do it. I am not crafty but I could definitely make this party theme happen. Thank you for the ideas. You're so welcome! Thanks, LC! You did a great job styling this party! It looks fun, especially those cupcakes. Though we don't have a team, this looks like something I could do. This is so cute, simple and perfect! My kids had their end of season party yesterday. Thanks, Valerie! I hope they enjoyed it! This is a cute and affordable way to send the kids team off with gifts of appreciation. We are not in sports just yet but I love the idea. Great way to earn money for your child's athletics team. I know how hard it is to sell those popcorn tins and cookies to pay refs, buy uniforms, and travel to play other teams. 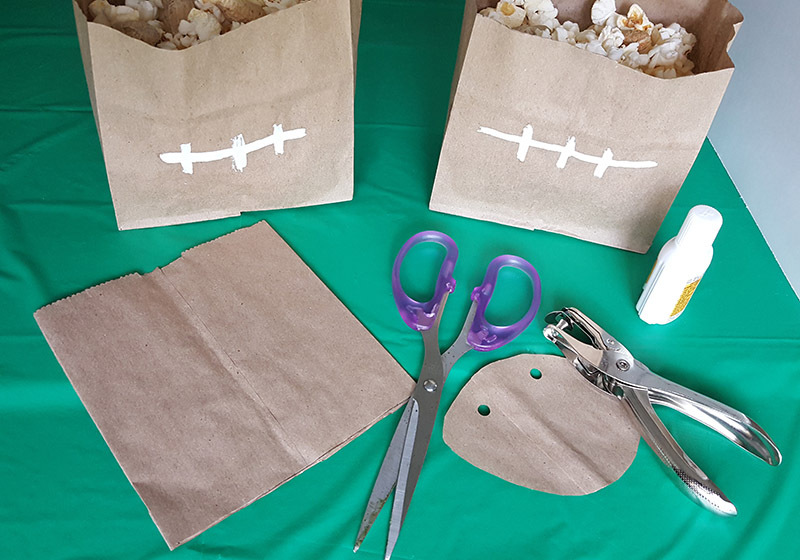 Simple crafts like those football popcorn bags are perfect for me! I've never really been the crafty type... I usually just end up covered in glitter and glue. I attended a few company events here and I must say that I was impressed every time. The place was aesthetically pleasing with very good decorations and seats. The event halls for rent had a great layout overall, and was at a comfortable temperature. Football season can represent some genuine dangers to your wellbeing on the off chance that you enjoy the ordinary greasy nourishments at rear end parties and stadiums. 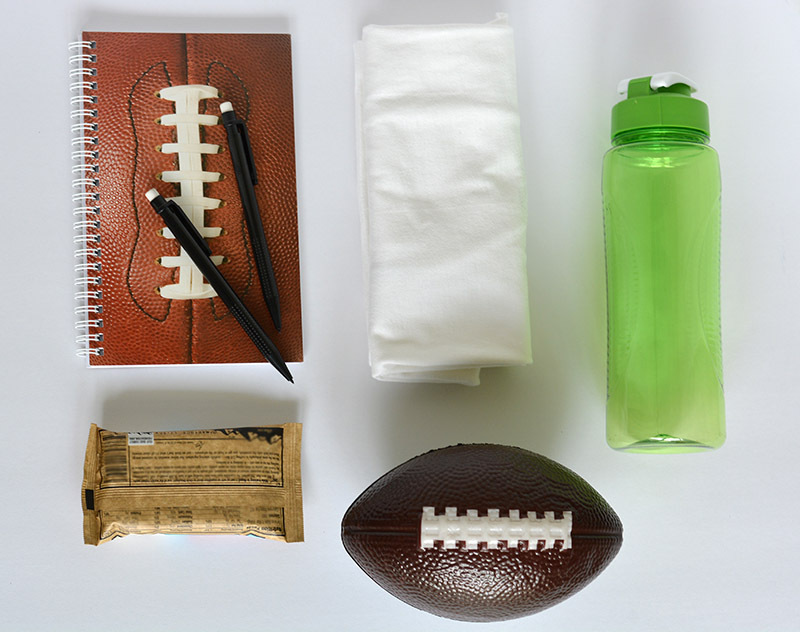 Here are some useful hints to enable you to win on and off the field. I find https://www.rochestergolfcourses.com this very good website for the golf. You can visit this site.